Smiles–when you can’t muster them, make them! 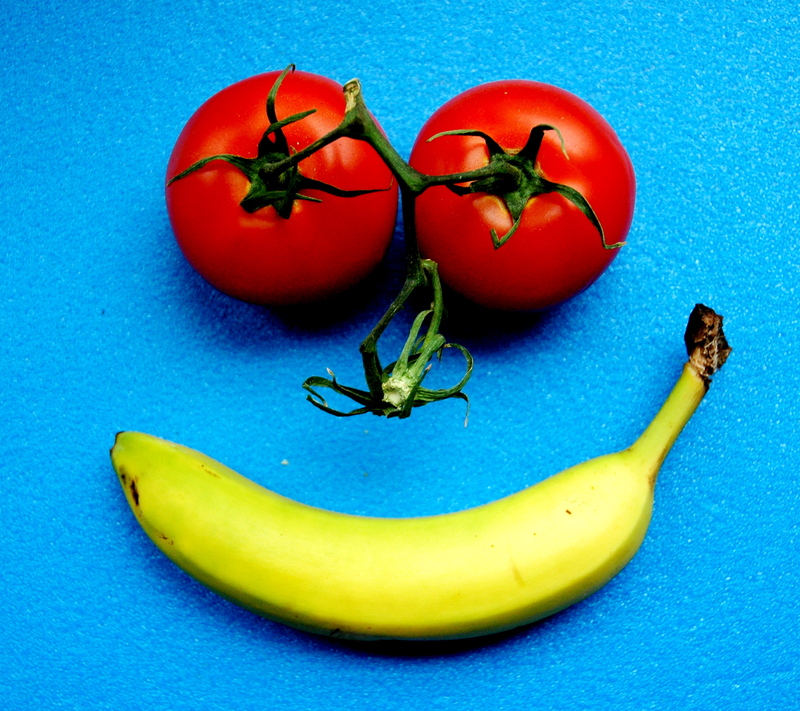 Smile from the Kitchen; tomatoes on the vine and banana. There are days when the absolute last thing I want to hear from a perky person is, “Cheer up.” When I don’t feel like smiling, I really don’t feel like smiling.When life is going the wrong way (meaning it’s going a different direction or a different speed from the way I want it to go) I don’t want to think positive; I want to feel sorry for myself. But, that “positive thinking” yadda-yadda actually works. Just smile because it helps everyone feels better when we can smile; and it makes the smiler feel better, too. 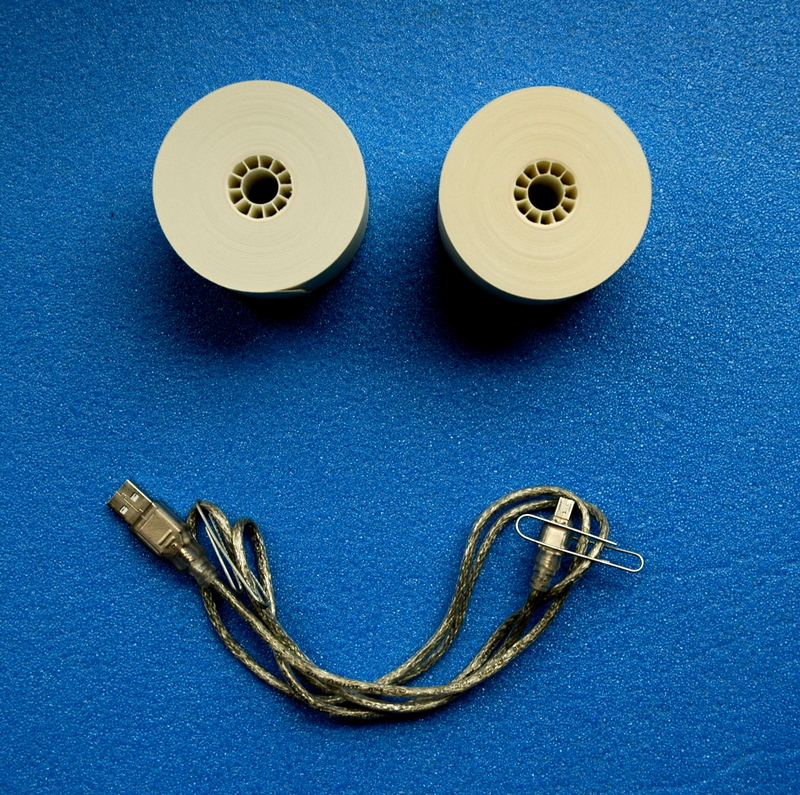 Smile from the office; adding machine tapes; UBC cord, paper clips. Sometimes, no matter how “good” you are, no matter how hard you try to live healthy and take care of yourself, things happen. The human body is mortal, and that’s all there is to it. I’m getting accustomed to unexpected setbacks and slowdowns; that’s just the way life with fibromyalgia is. It’s no different from life in general, really. Things don’t work out as we planned them to. I set myself a writing schedule (self-imposed), for posting blogs and finishing my memoir–but it was too ambitious. Slowing down is annoying. A year ago, having to readjust my expectations would have made a mess of my emotions. Today, I’m in a much better place. I’m kinder to myself, and I smile more often. 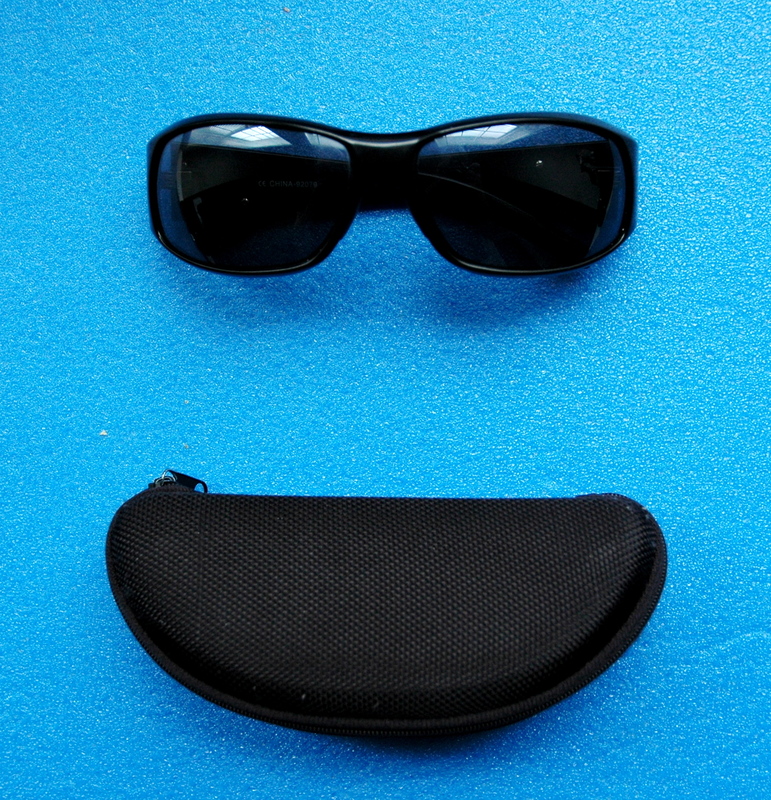 Smile from the pool; sunglasses and case. I helps that I’m connected to a lot of people who care. It helps, that I refuse to let bad news dominate my life. I fill my mind with positive words and images. I’m vigilant about taking time to rest. I read hopeful stories about inspiring people and heroes. Current book: The Greatest Sailing Stories Ever Told, edited by Christopher Caswell–lent to me by a friend who cares, which makes it feel doubly good to read; bonus, some of the stories, especially the one by James Thurber, are funny. I look for things that make me laugh–or at least, smile. Therefore, I want to express my heartfelt appreciation to the WordPress blog: WASIALife (I think it’s by J.L. Simon–please let me know if I have that wrong) who posted an uplifting reminder this morning. 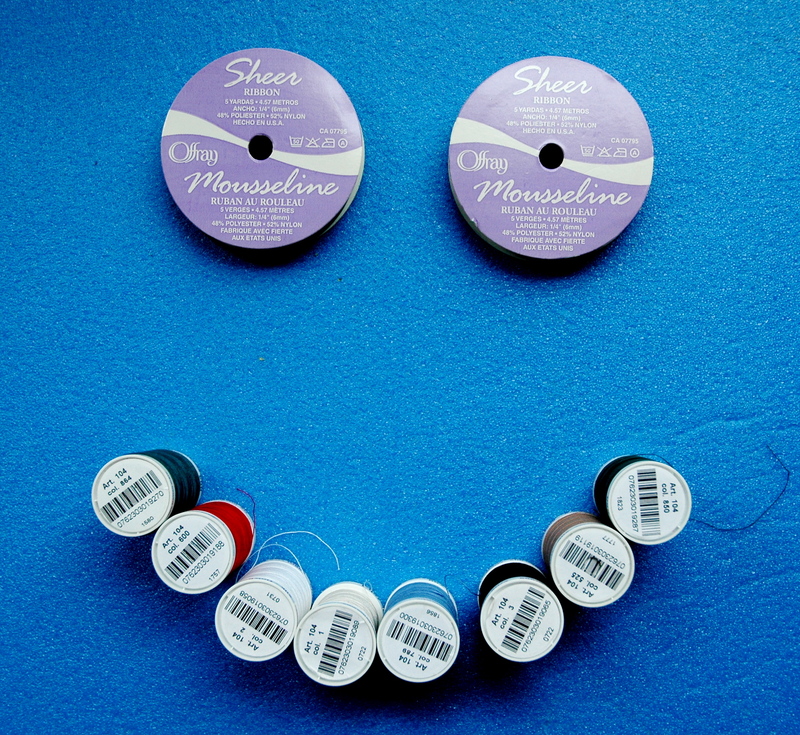 Smile from the sewing box; ribbon and thread spools.